I’ve been to many conferences and read many articles that speak to the importance of personalization in the recruiting industry. 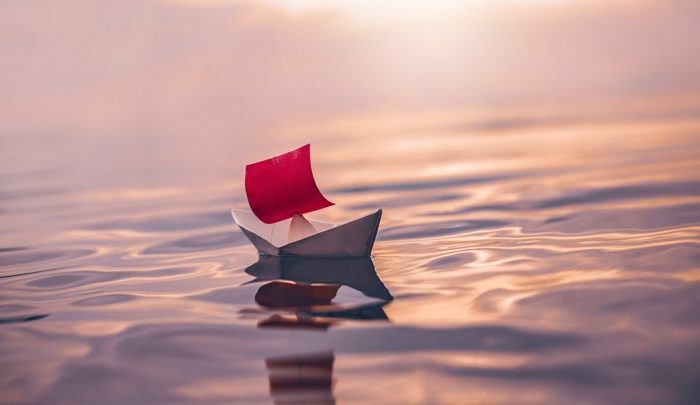 They typically mention things like using the candidate’s name, emailing over InMailing, mentioning mutual connections, or avoiding templates. While these tactics arguably may be nice things to do, they don’t personalize the message; they more humanize them. I source in the tech industry at a small agency called Future State Consulting in Tigard, Oregon, a suburb of Portland. We provide talent services in the web development world and its surrounding support roles (e.g., Project Managers). 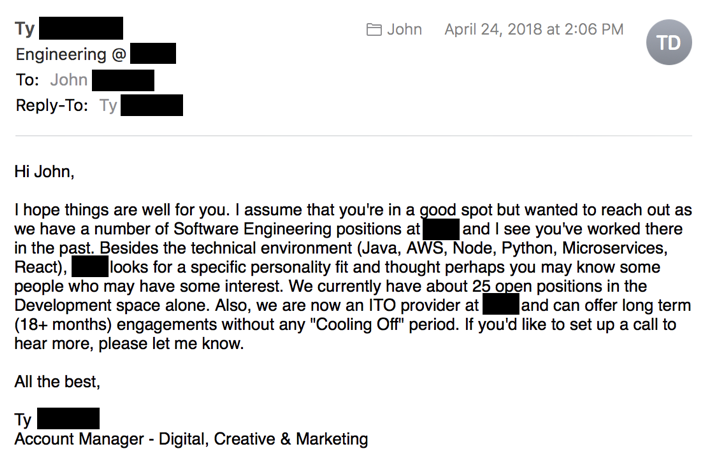 I was lucky enough to have worked with a software engineer who needed a small break from his world, so he came to work on the recruiting side. When he left, his LinkedIn account was sent to me, allowing me to see messages he received from recruiters. When I read this, I see the recruiter as selfish, pitching himself and the work he needs to do for his company to fill 25 positions. I comprehend this as the recruiter asking a favor. Please help me fill my roles. And pitching the agreements they have with clients — no “cooling off” periods. What I don’t see is why the recruiter reached out to this person. Any effort to show the candidate they’re invested in the candidate’s experience and interests, and ultimately what could be easily seen as a simple copy/paste note blasted out to 100 people in what is often dubbed the “spray and pray” strategy. Nothing about the candidate him/herself, nothing about the role, the company, or the tech stack. 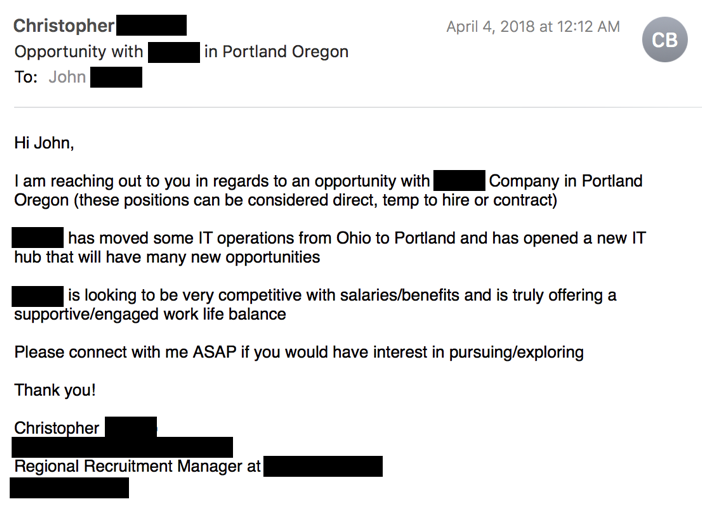 Just a copy/paste note boasting “many new opportunities” and to respond “ASAP” with interest. These are the notes that head straight for the trash can 98% of the time. For every person I decide to reach out, I look through simply-searchable, publicly available social media. I do my best to make the most creative cold reach out they’ve ever had, and probably ever will have. My goal is two-fold. First and foremost, I want the candidate to respond, regardless of interest. 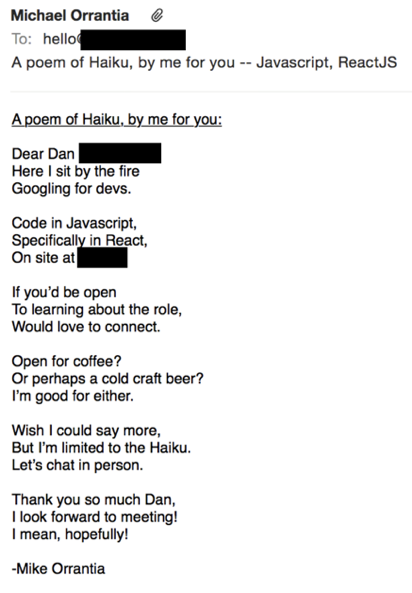 Secondly, I want the candidate to call me out for sending the best recruiter note they’ve ever received or seen. This allows me to build a unique rapport from a cold reach out that typically lands the candidate into three possible categories. They have an interest in the job. Candidates may not be interested, but they know someone who could be, and I get a referral. They keep my name handy for when they are ready for a change. To be honest, it’s flattering. It also makes my job more fun, more rewarding, and more successful. For the candidates, though, they often show extreme appreciation and flattery that you actually invested some of your time into their lives in a unique and creative way, especially with it being unexpected in a far-too-common and annoying recruiter email. One of the places I frequent when looking for work developers has done if Github. Often these profiles will have projects the engineer has made during school, like building a Scrabble game for the web. 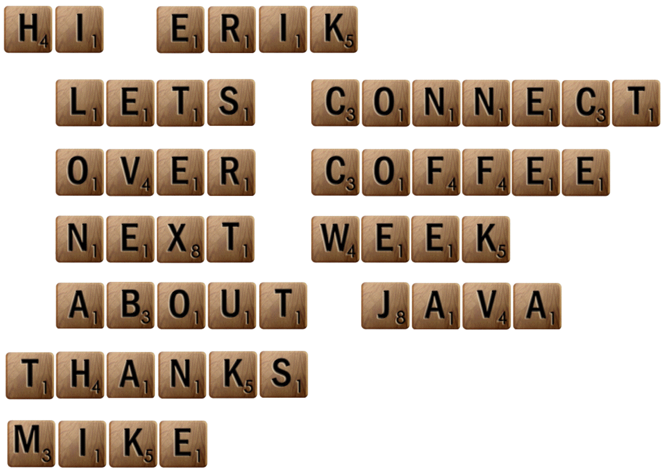 In this next note, I found the specific tiles this engineer created and used for his Scrabble project while in his Computer Science Undergraduate Program and decided to use them entirely as my note over. I learned a NodeJS Engineer had built a website called humanclock.com, a site that would scrape the internet for people holding signs that displayed numbers of the actual time of day you were visiting. 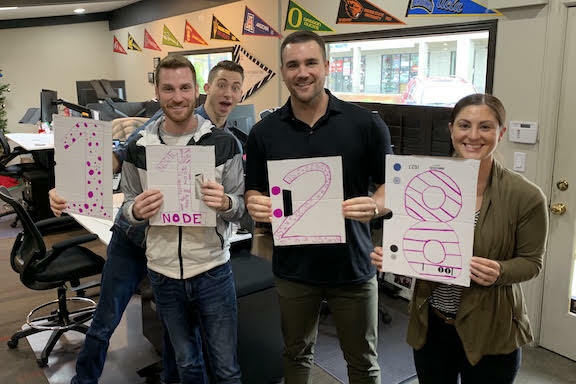 When the clock changes from, say, 9:01 to 9:02, the site automatically refreshes with a new group of photos from the web showing people holding signs displaying 9:02. He “moved me to the front of the line.” The extra five minutes jumped me above my competitors in representing him for NodeJS roles, which, in the competitive world of software development, is a huge advantage. We live in an industry full of crazy KPIs that amass nothing more than disingenuous conversations on the daily. The industry’s standard KPI requirements are the most significant driver, in my opinion, of the negative stigma it often carries. On our end, we’re required to make X number of calls and Y number of emails, with Z number being brand new candidates and the rest coming from an internal database. Now think about the candidate’s end of the experience, at least in the tech industry. Imagine how many calls and emails they receive from you, your colleagues, and your competitors every single day. And not just the sheer number of contacts, but think about how mundane and boring the vast majority of these reach outs are to someone who sees them multiple times each day. This is where personalization comes in. True, genuine personalization. Show the candidate you put the time into them before you even know them before they become profitable for you. You need to show the candidate you did your due diligence in learning about them rather than just paired one keyword on their profile with the same keyword on the job description. Show the candidate they’re a person to you, not a dollar sign, by being a person to them.